There are some products that really stand out from the crowd and San Diego Ceramic Paint Sealant is one of them! 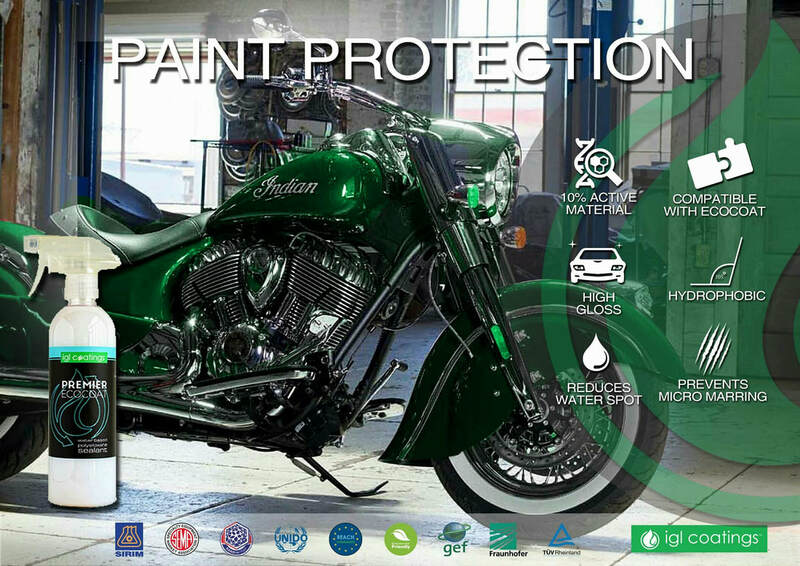 IGL Premier, is a waterbased, zero VOC nanotechnology super hydrophobic spray on ceramic coating that is non-yellowing, high gloss, dirt repelling that cross-links with all surfaces of your vehicle, including paint, plastics, glass and wheels! Ceramic Spray sealants are becoming an increasingly popular form of paint protection, and this is because not only do they produce fantastic results, but they also provide a better level of protection than traditional waxes and standard sealants. IGL Premier is a product that is very easy to use, allowing for a quick service that yields amazing results – high gloss, super soft paint surface and incredible hydrophobic properties. The durability of IGL Premier is 6 months - The level of gloss that is added is incredible, it gives a really deep wet look to darker colors and has the traditional properties of a ceramic coating; self-cleaning, hydrophobic and a showroom shine. 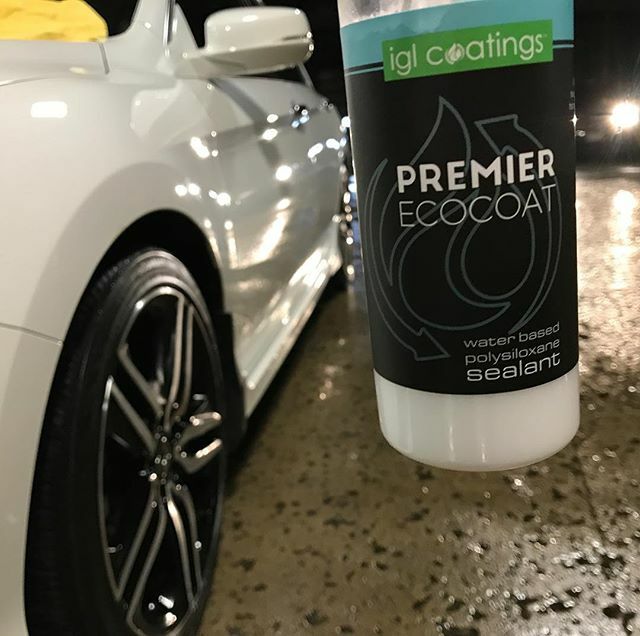 IGL Premier is very cost-effective option for those who want all the benefits of a Ceramic Car Coating but may not be ready to make the investment. IGL Premier will deliver outstanding results for the best price, making it an extremely efficient product to use until you are convinced that ceramic car coatings are the right option for you. Once applied, the paintwork is silky smooth to the touch and the glossy look will last for 6 months. After application, IGL Premier will ensure a sacrificial layer against UV Damage, Acid Rain, Bird Dropping and will help to prevent your paintwork from fading. With frequent washing, your car will look amazing and retain its very hydrophobic features and glossy appearance for 6 months.